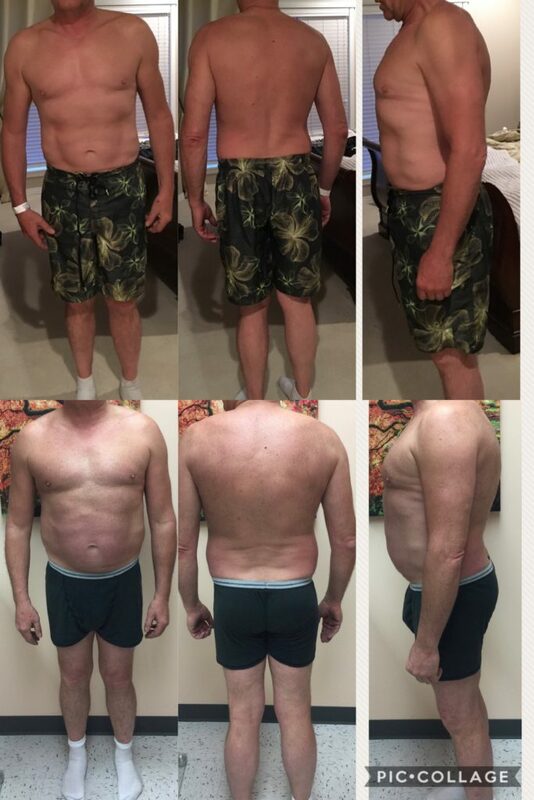 Here’s an amazing transformation in progress that we wanted to share with you, Kent started at 245 lbs, and lost 30 lbs in just under 3 months! He made it a priority to prepare his meals, have alternative options when dining out, and commit to the time needed for his workouts. A goal without a plan, is just a dream, so we made sure to have a plan of attack to ensure steady progress in achieving his goals. He lost 12 inches and dropped at least 5% body fat by following a proper food plan, consistent workouts, and a base amount of cardio. We work with all ages, fitness levels, and whatever goals you have. When you’re given the right formula to follow, then success is inevitable.